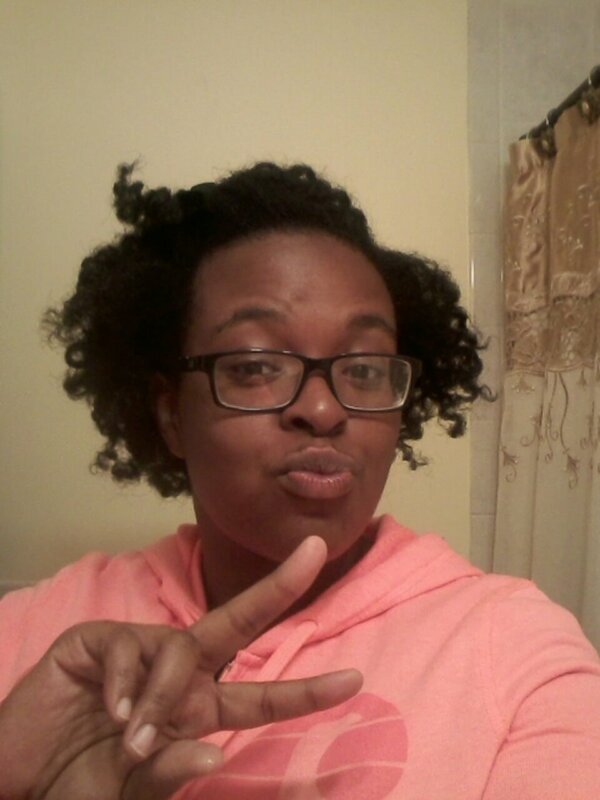 As you can see my half wig was looking a hot mess. There was no way I was going out with her looking like this. 1. 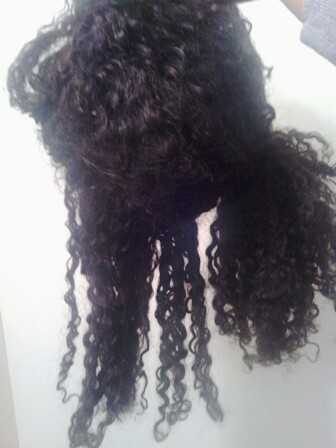 This wig has a lot of hair. 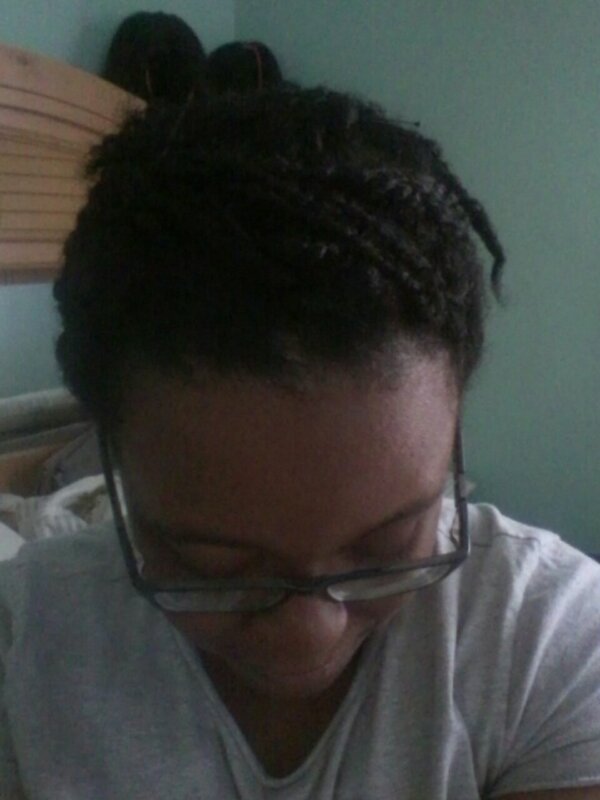 So I seperated the hair in two sections with a hair tie, and did each step I mention below to each section. 2. 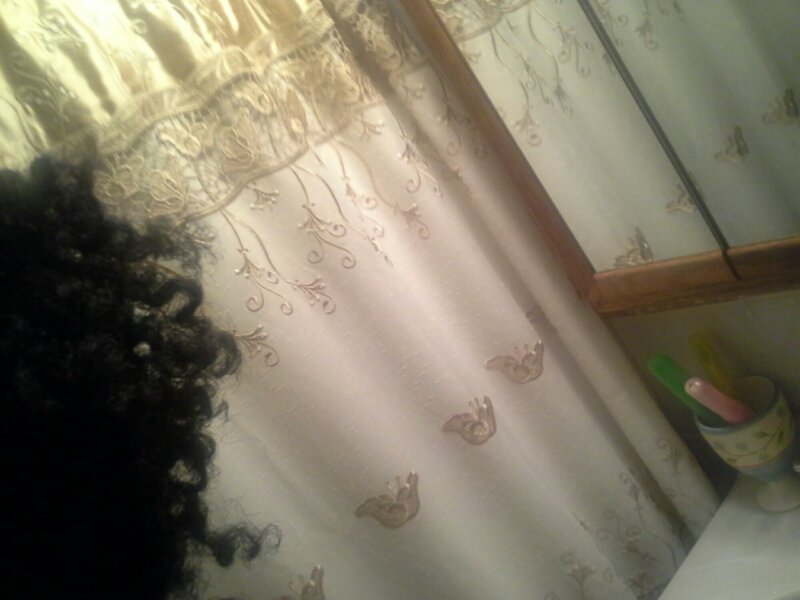 Then I used Doves Moisture Shampoo and ran the product through the first section of hair I divided in the sink with warm water. I didn’t scrub whatsoever. I didn’t want it to tangle up even more. 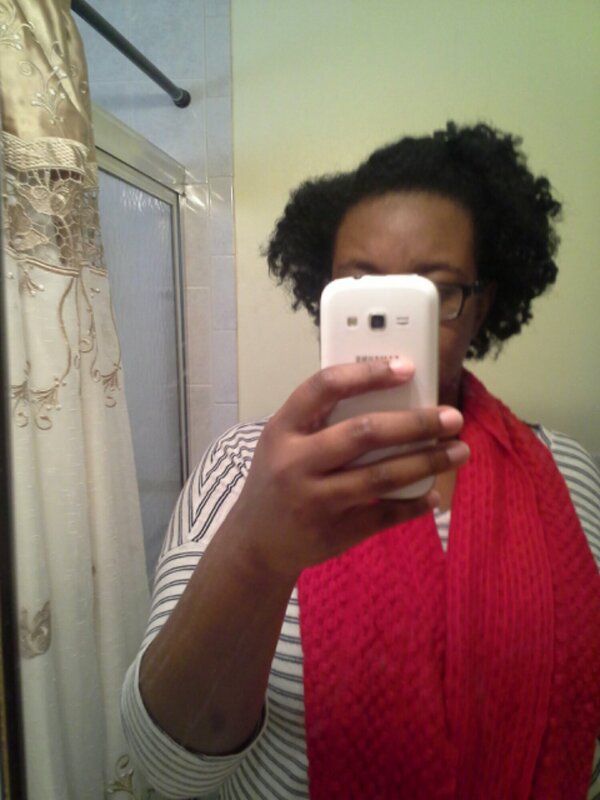 I didn’t have to lather it twice because the hair was already coming clean with the first application. 3. Rinse. Apply a conditioner of your choice. One of the many things I love about this wig is that the curls never loose their pattern and there’s very minimal shedding. It was totally worth every penny I spent. 4. Rinse Again. 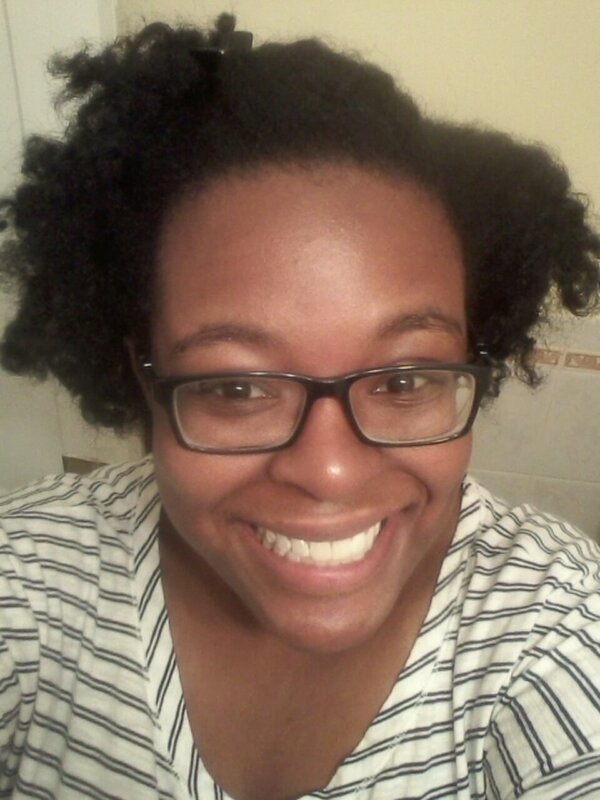 Then I applied a conditioning treatment and combed it through with a wide tooth shower comb. It was nothing special I just wanted to deep condition the wig for a little bit after it being as dry as the Sahara for about 3 months. Once I finished I hung it in the shower for about 30 minutes. Hello lovelies! 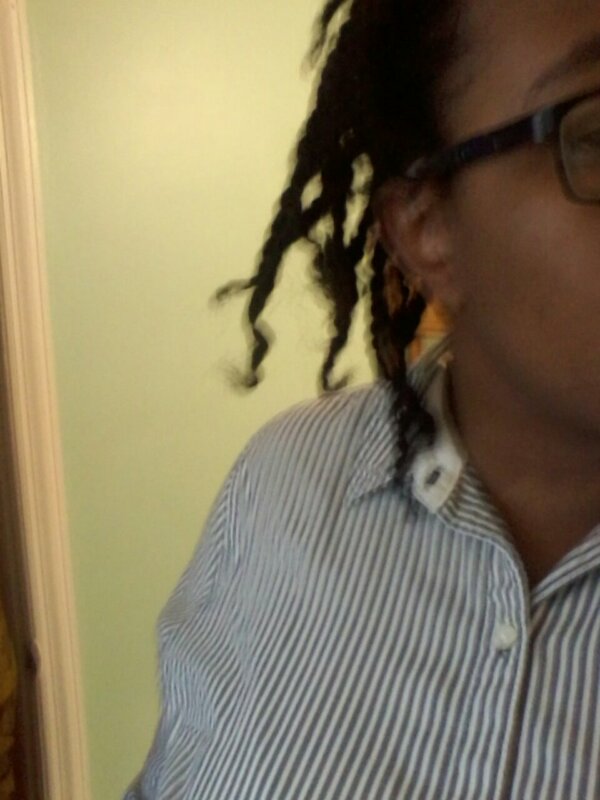 Today I’m coming at you with a technique that I used to get OPTIMUM STRETCCCCCHHHHHHHHH on my hair, after wash day. 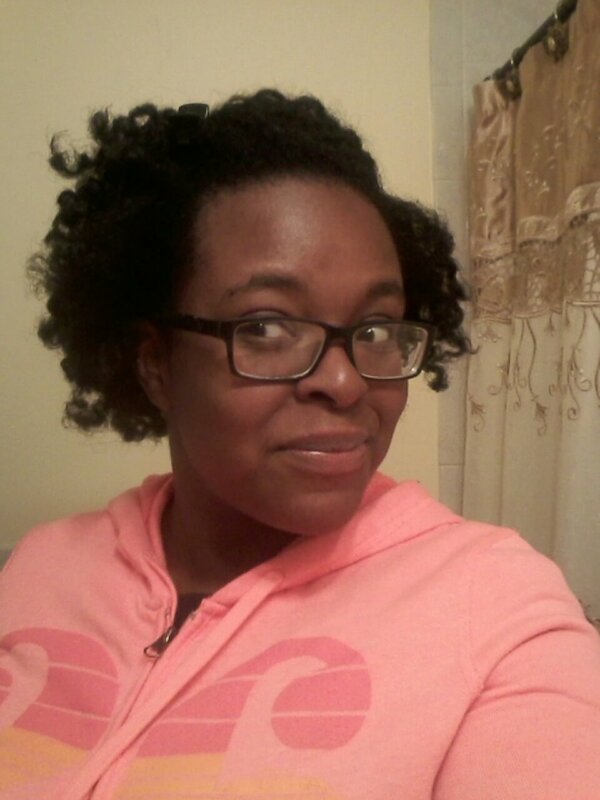 Now, if you saw any posts last week, you know that I had a curly fro in a puff that was on it’s last legs. LOL. 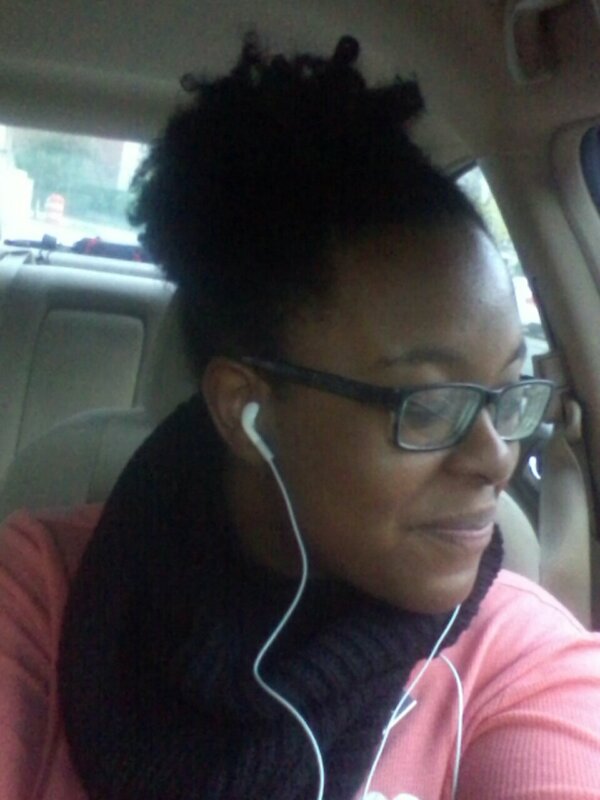 By Friday, after wearing my puff for 5 days, it was no longer a curly fro, it was just a fro. It was really shrunken and tight to my head. 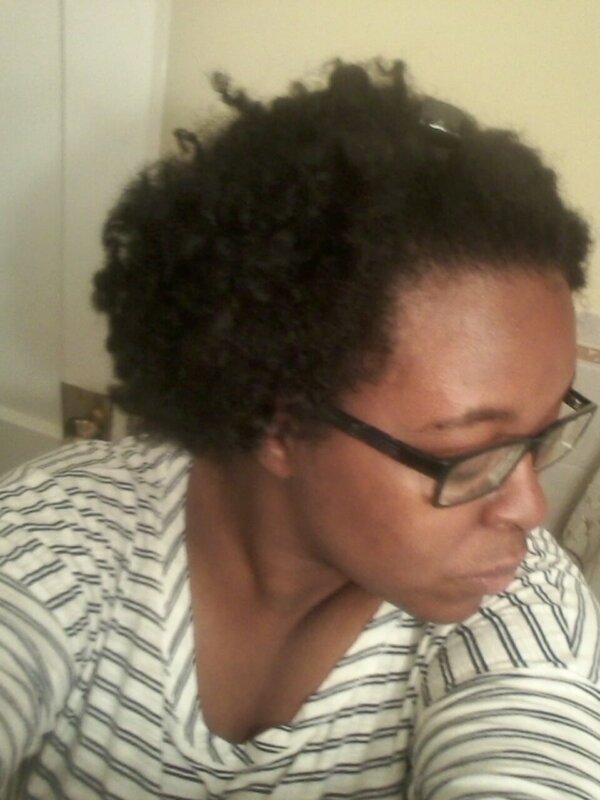 I knew that I’d have to conquer the shrinkage soon, so I just accepted it and began wash day. 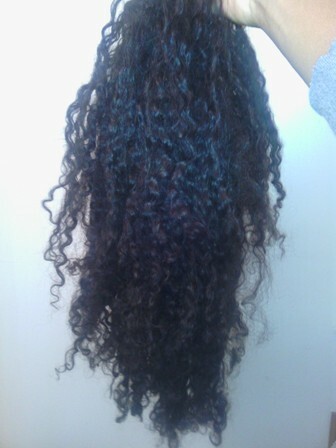 After washing my hair, I let it dry in an old (clean!) t-shirt for over an hour. By then, it was about 80 percent dry. 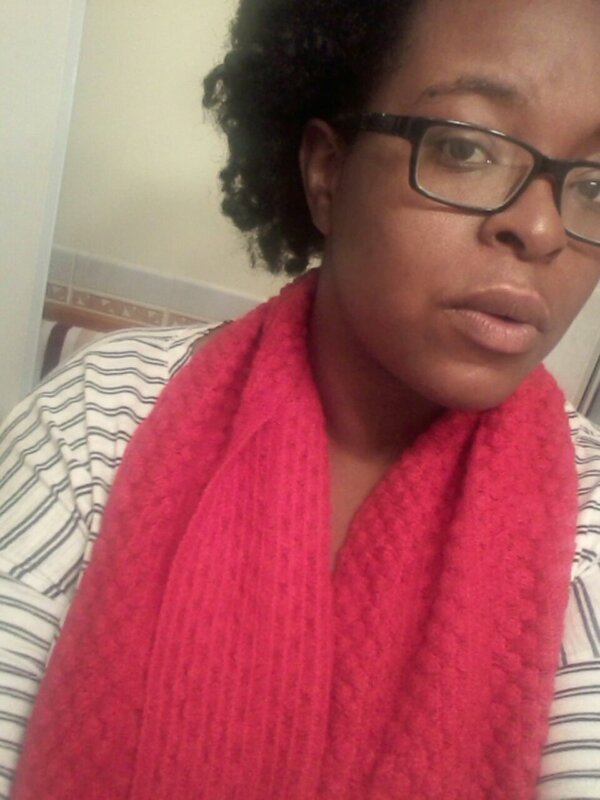 I had plans on doing a twist out, but I did it a little differently. 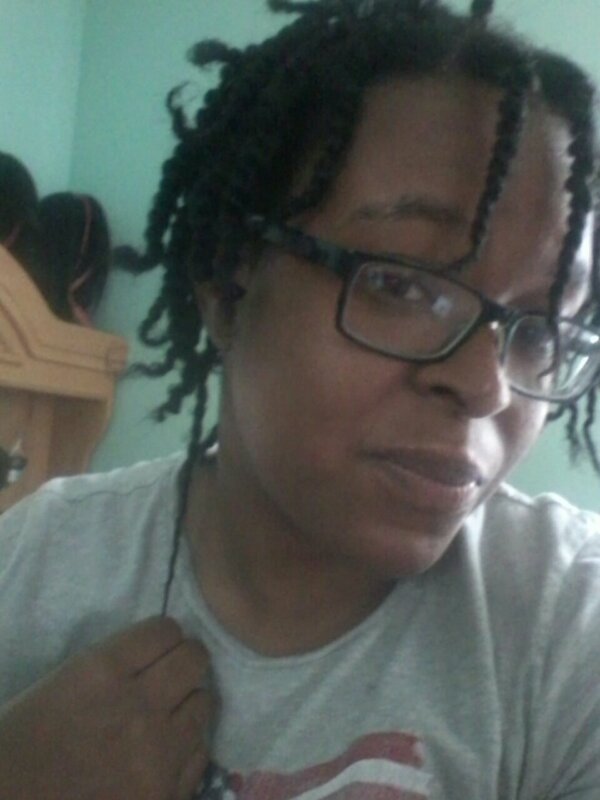 I made my twists a lot smaller than I usually do. 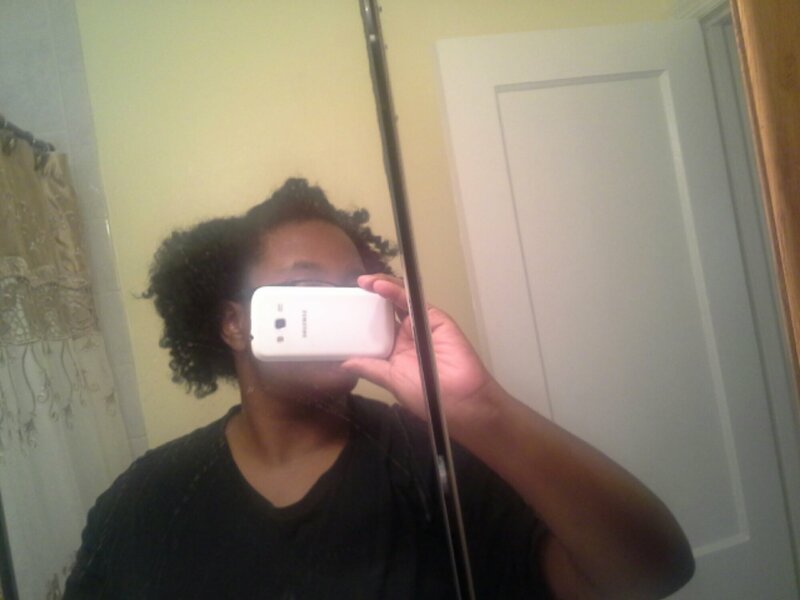 They were reminiscent of my workout twists, remember those? 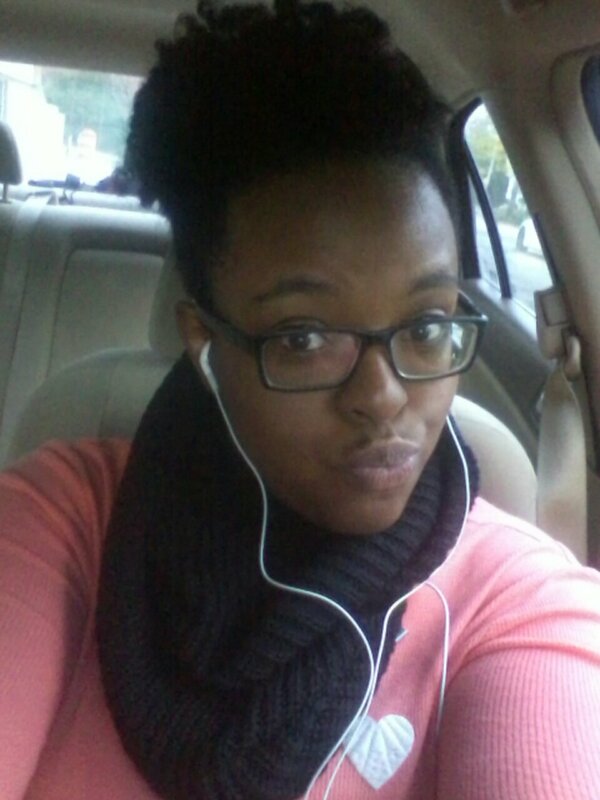 The shrinkage was SOOOOO real LOL. 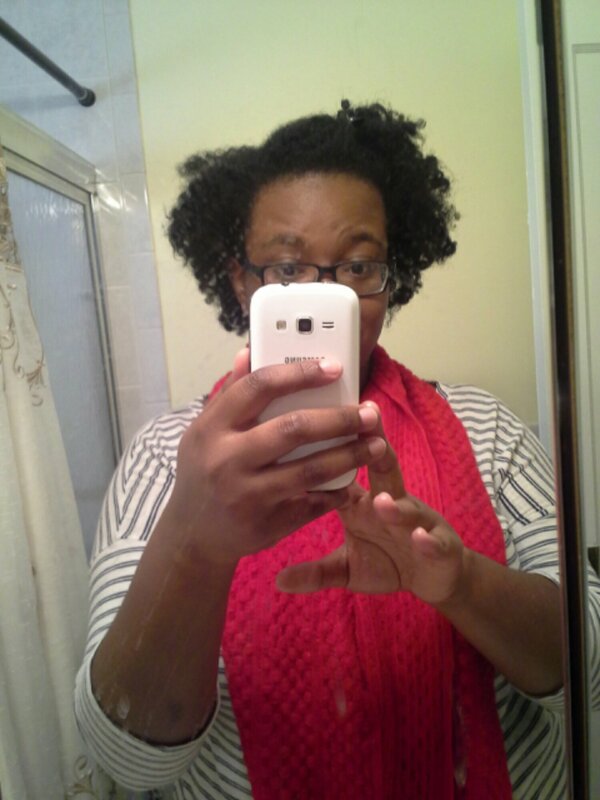 After twisting them up, I wrapped them around my head, like you would a relaxer. And then, I put my scarf on and went to sleep. 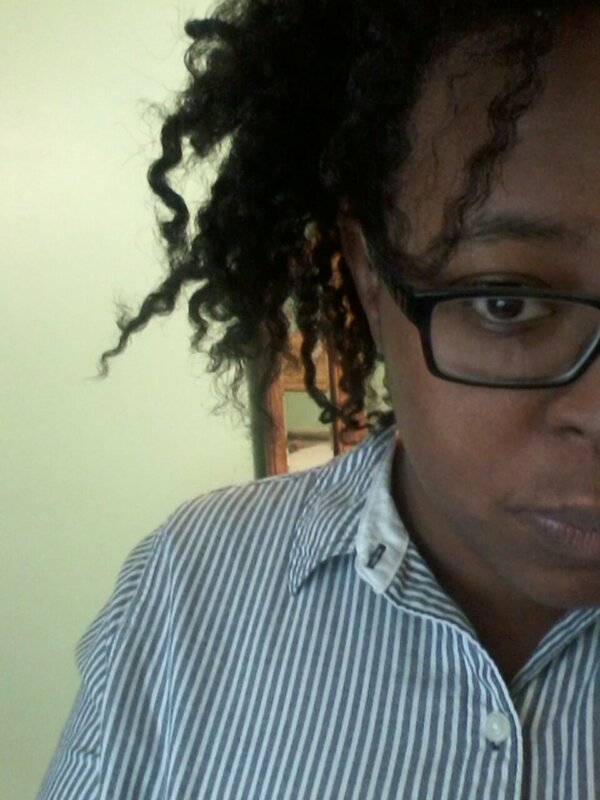 I woke up in the morning to really stretched out twists. 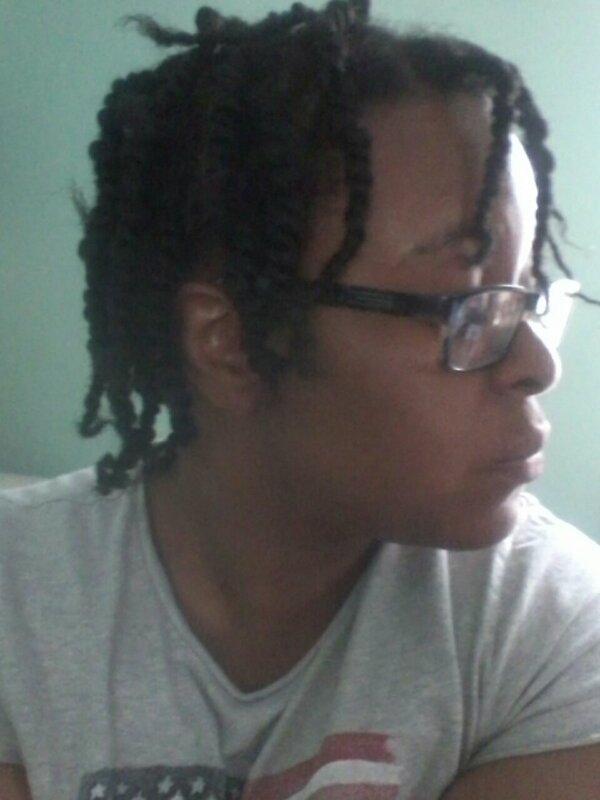 When I took the twists down, they had tons of definition. 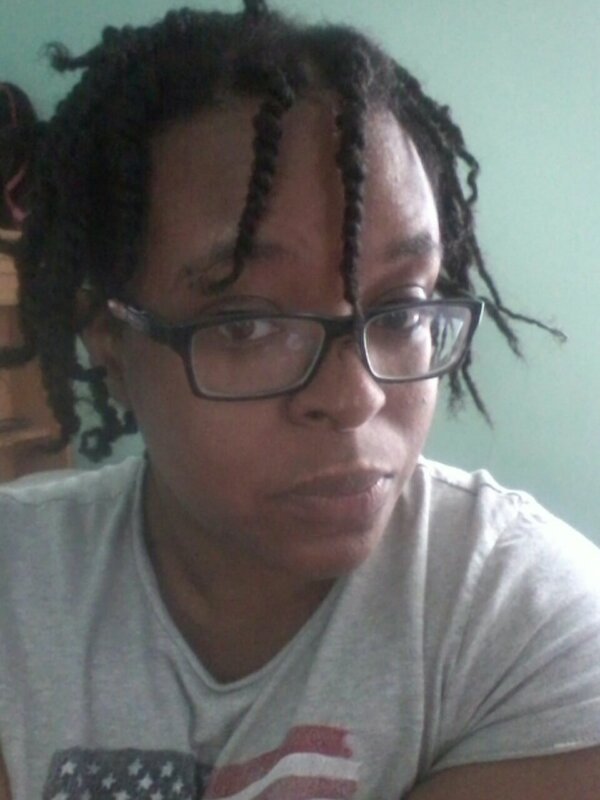 Next time I do this technique, I’ll be sure to do Naptural 85’s twist out method, and on bigger twists. Hi beauties! I hope you’re doing amazing, splendiferous, and fantastic, in that order! 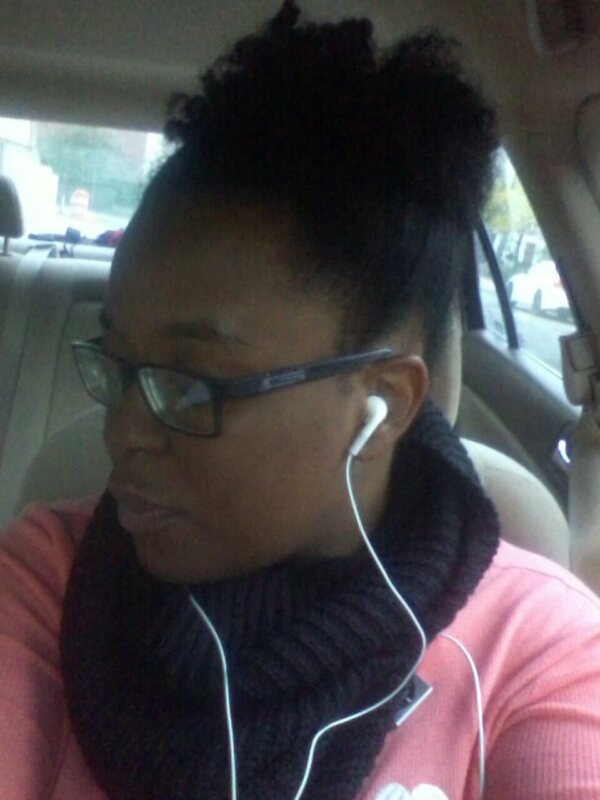 😉 Today, I’m coming to you with a really cute jumbo faux bun that I did, compliments of WhoIsSugar on YouTube. Now, if you’ve ever seen her hair, you know that it’s really really really long, and my hair isn’t that long, by any stretch of the imagination. It was bound to look different in my hair than it did in her. But an-ti-way, here it is! I was absolutely loving it. It looked like I had long hair, and it also looked really full, which I loved. It was also really simple to do, but if you’re too lazy to watch the video, I’ll outline the simple steps for you here. 1. Seperate a bang area. 2. Add a scarf around your head. 3. 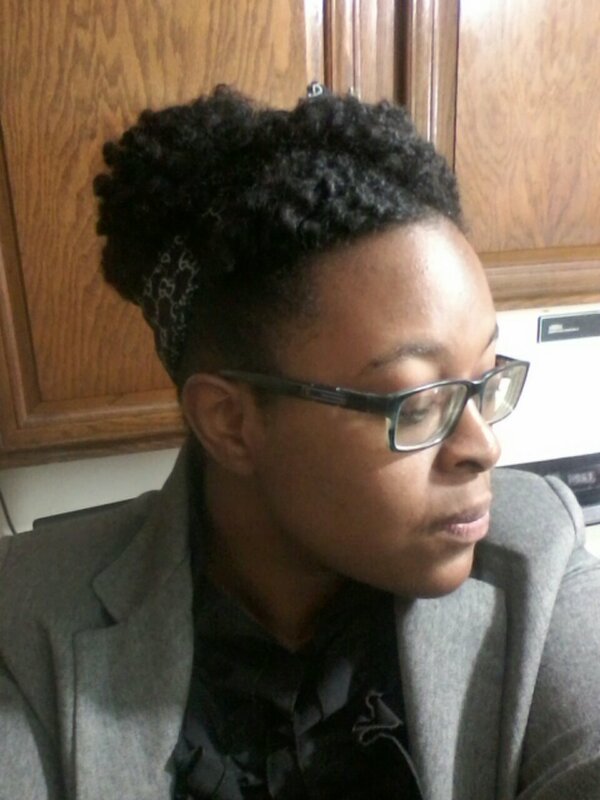 Take your hair, section by section, roll loosely, and pin. 4. Pin your bang up anyway you want. And vôila, there you have it. A huge jumbo faux bun that looks amazing. Happy Friday lovely people! 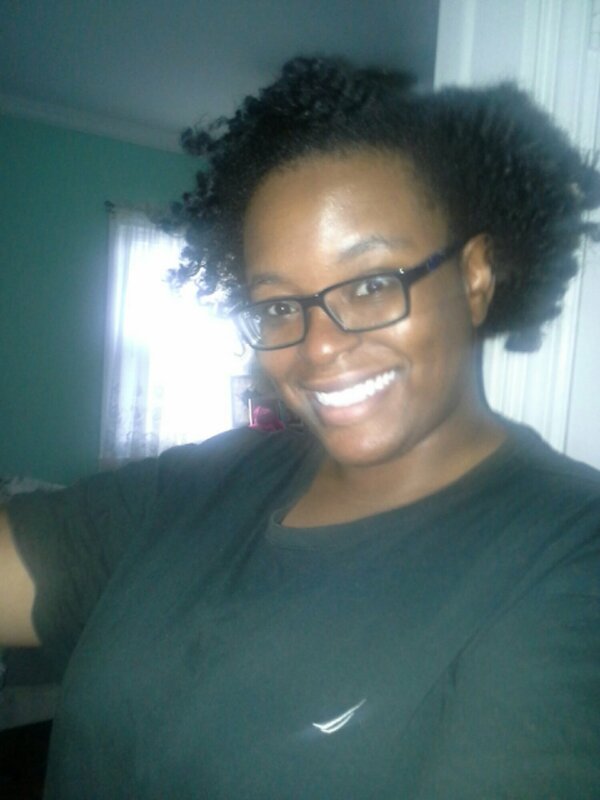 I am currently on day 4 of my twist and curl and I’m absolutely loving it. 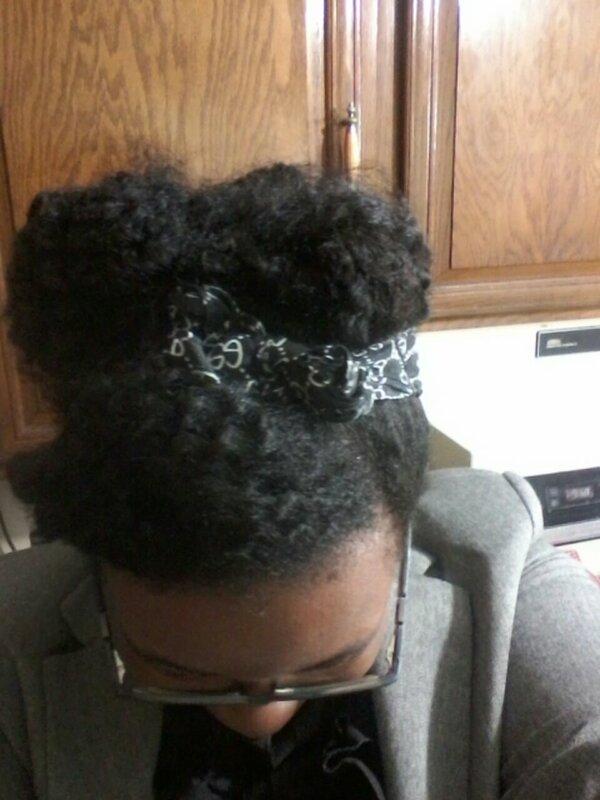 I’m showing you day 4 because I wore this puff for a whole five days, and it’d be pretty repetitive to show you a puff every day. So last night, I felt that it was getting a little dry, so I moisturized it with water. That’s all. Just water. I doused it lightly with my spray bottle and followed up with some olive oil as a sealant. After that, I put my bonnet on and went to bed. 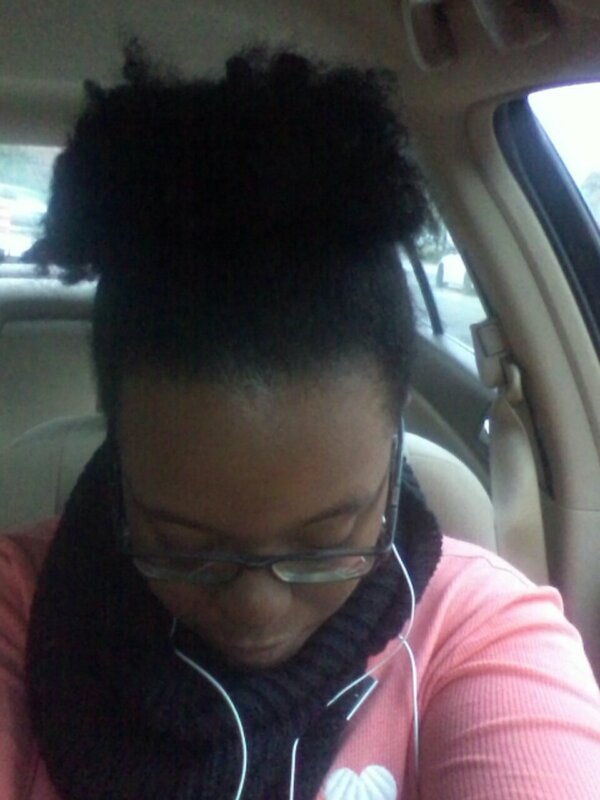 Here’s my day 4 puff! One day I was in the .99 cent store looking for something totally unrelated to hair products and ended up in the hair aisle of course and came across this. 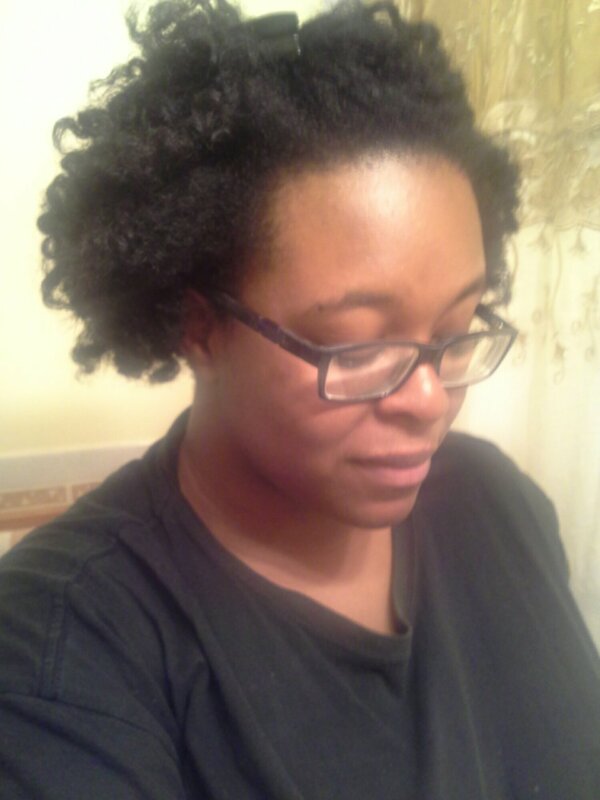 Something I’ve been looking for…a clarifying conditioner! Before this I was using Pantenes Relaxed & Natural. I’m not really a a fan of Pantenes products but my mom loves it and it was in my shower. Soooo I wasn’t too upset when it ran out. I honestly didn’t feel like it was doing the job. For those of you who don’t know what co-washing is, it’s simply substituting shampoo for conditioner. Some may find this strange, but it does have it’s benefits. Believe it or not some conditioners have the ability to cleanse your hair without it feeling stripped like most shampoos do. 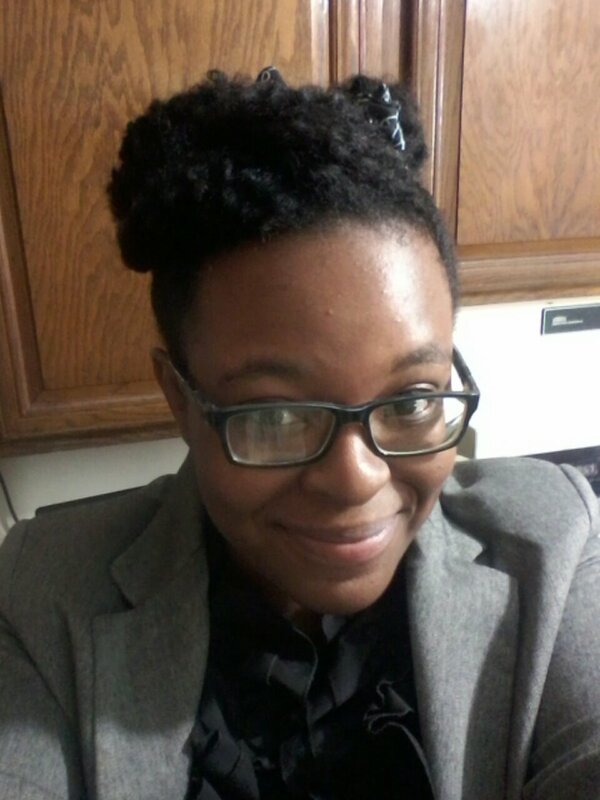 Regardless, I still shampoo my hair weekly just to make sure my scalp is totally fresh and clean for the new week, but sometimes I like to refresh my hair midweek and this hardly takes as much time for me. If you’re planning on being a consistent co washer I would recommend doing your research first. Make sure to stay away from silicones! If your hair products contain ingredients such as silicones, petroleum, mineral oil, lanolin, and all that other yucky stuff it’s important to shampoo your hair because co washing won’t effectively cleanse it. 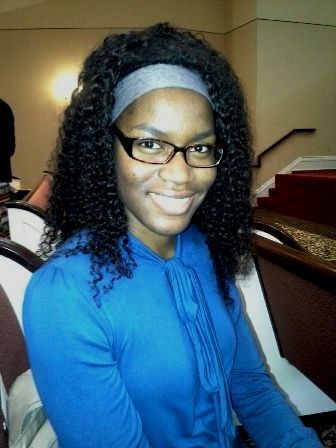 You’ll be left with dull hair and an itchier scalp than what your started with & build up. No one want’s that. Co washing is great and there are great ones on the market, but don’t forget to use shampoo as well. Like the saying goes to much of anything is never a good thing. If you’re concerned about your hair drying out from shampoo just make sure your deep condition & try a moisturizing shampoo. I HIGHLY recommend Dove’s it’s really awesome. I’ve heard great things about apple cider vinegar rinses as well. All I can say it just read up & find what works for you. Anyways! This conditioner makes my hair and scalp feel cleansed and it also has a cooling sensation which I love. It’s nothing too overpowering. I’m pretty sure it’s the mint (great for stimulating the scalp! growth!) 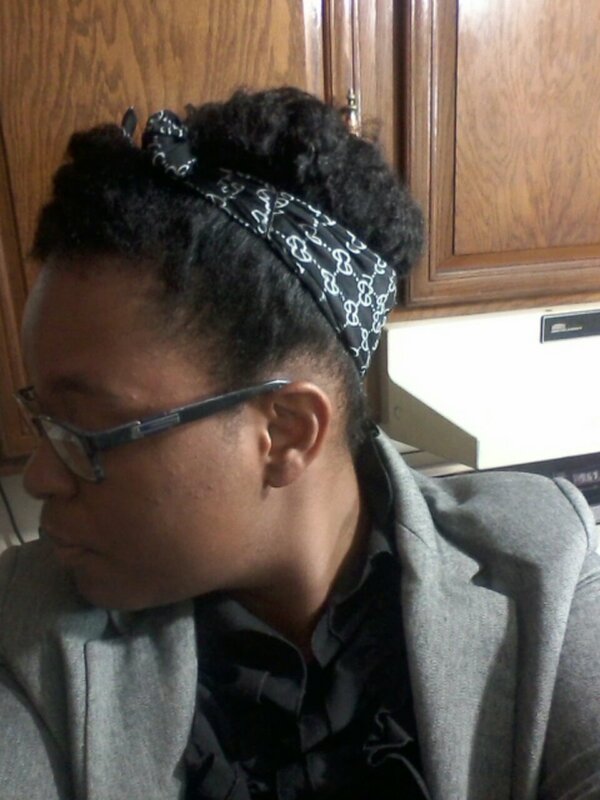 It also has great slip, making it easier to distribute the product throughout my hair. Oh! Did I mention that it’s only .79 cents?! Yeah. I purchased mine at the .99 cent store but I noticed that it’s actually cheaper in Wal*Mart! Go figure. Eventually I want to try the cleansing conditioners by Eden & As I Am, but as for right now this is perfect. Happy Monday, guys! Here’s to a fabulous week! 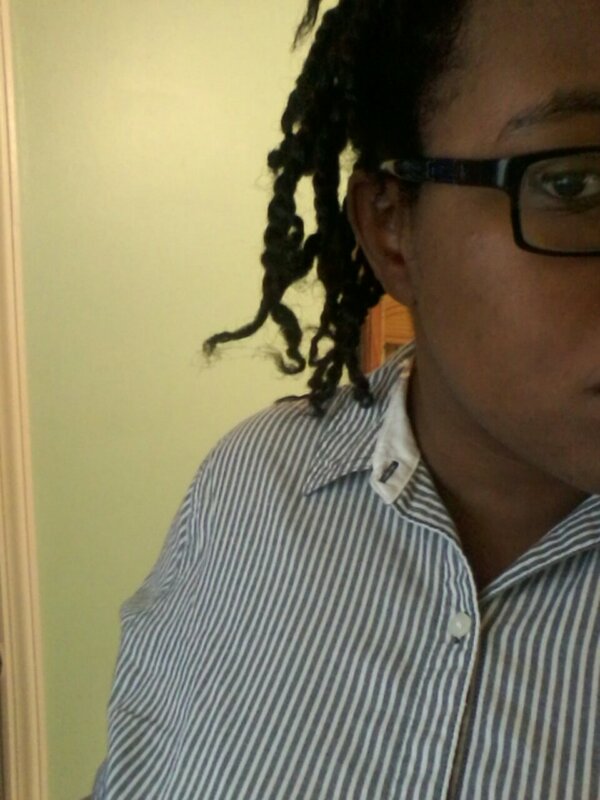 I promised you guys I’d come to you with day 2 of my twist and curl, and here it is! I’m still loving it, it still looks great! I even think it looks a bit fuller! Last night, all I did was put my bonnet on and hit the sack. I didn’t even sleep any certain way. I was too tired to care, it was a long day. 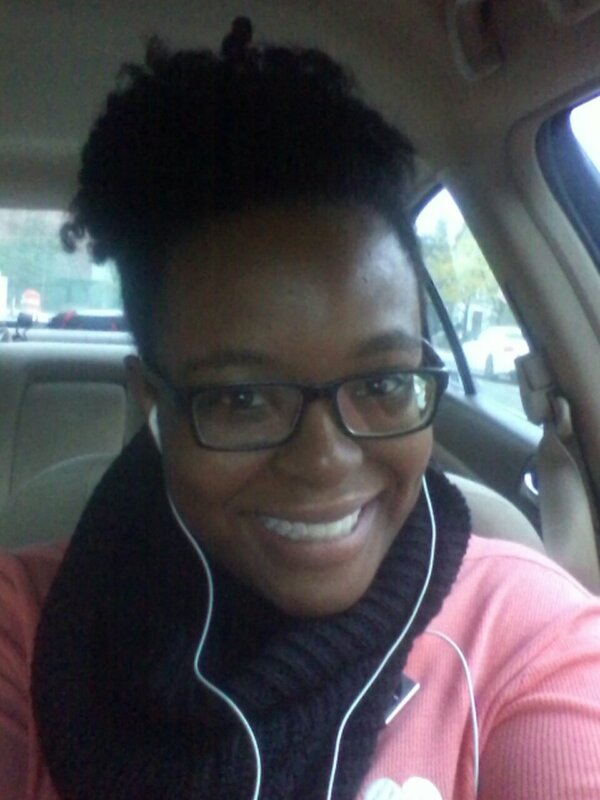 I woke up in the morning, shook it out, picked it a tiny bit for added volume, and left. 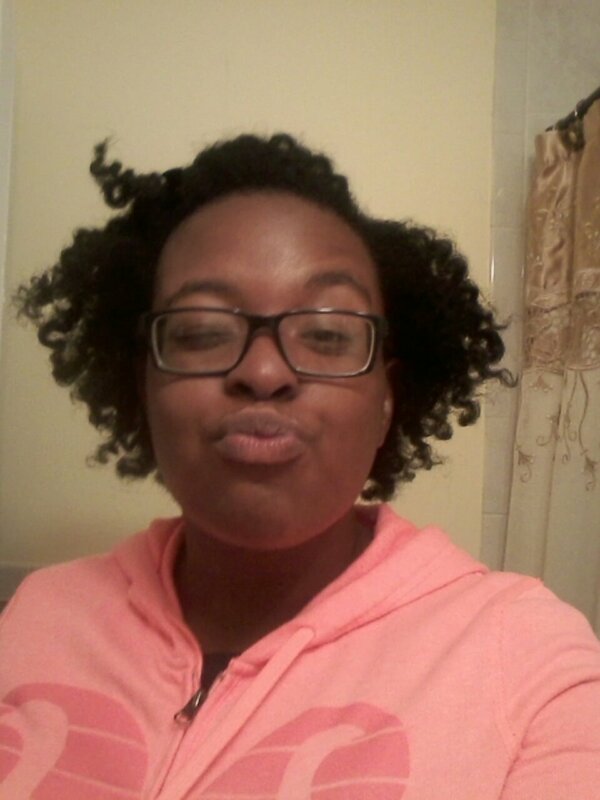 Let Your Fro Fly Free! It’s definitely shrunken as ever, but it’s all mine and I couldn’t be happier. As you can see, I was totally loving it! For real! Hopefully I can maintain it for a couple days. 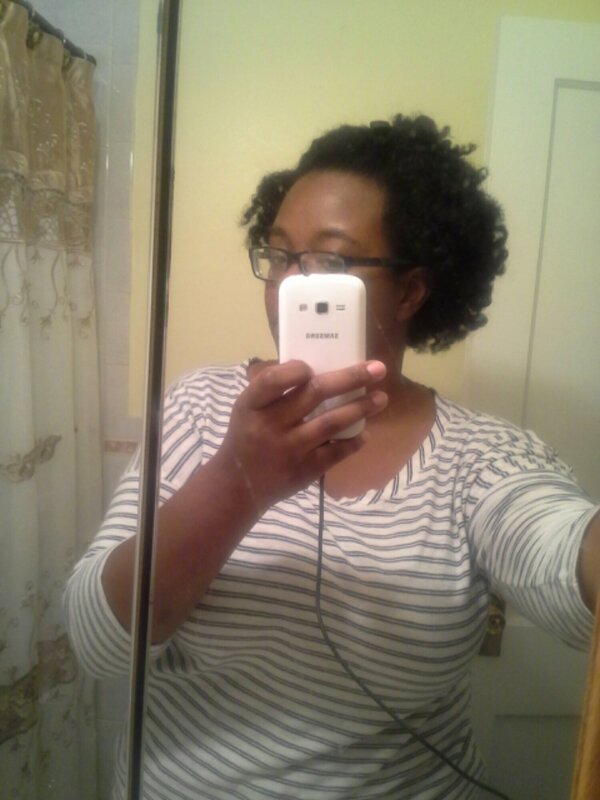 This look was the result of a twist and curl done one freshly washed hair that was still damp. 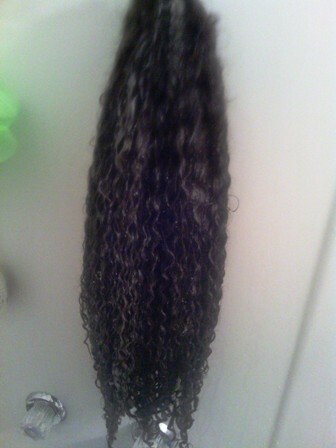 I made about 11 twists in my hair and then perm rodded the ends. It was pretty simple anyway. I woke up in the morning and picked and shaped away.